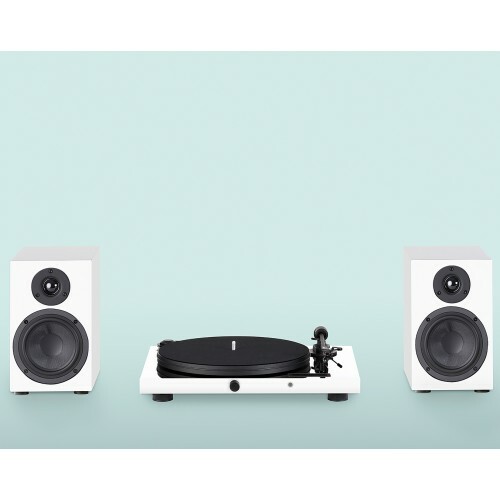 There are countless all-in-one systems on the market, partly with built-in speakers. They have proven to be widely popular, though are absolutely not suitable for real HiFi fans. 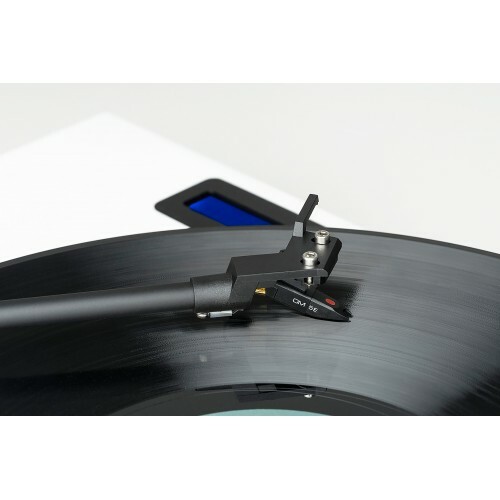 Due to the produced soundwaves the tonearm and cartridge are directly affected by vibrations at the tracking process. This results in disturbed and bad sound. 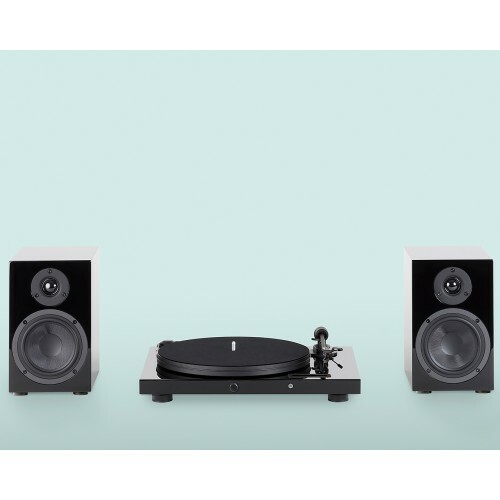 Since the built-in speakers are very close to each other, it is impossible to create a true stereo triangle. Now the customer misses out on a real two-channel experience. On top these models are made of bad build-quality and have very lightweight housings made of plastic. Exactly that should be avoided! 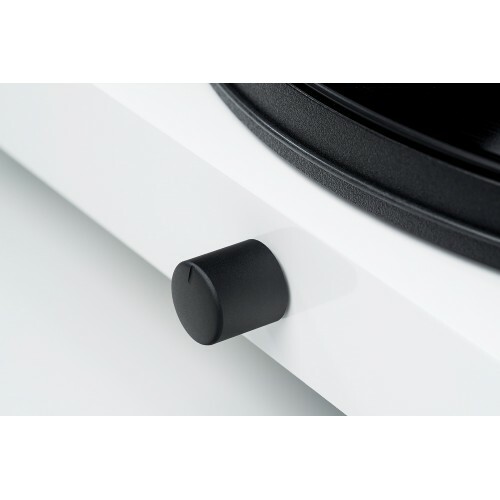 For optimum decoupling a turntable has to be heavy and standing on a solid surface. 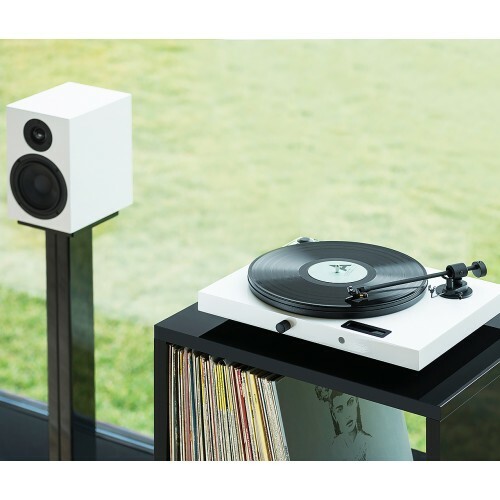 A better alternative would be a turntable with active speakers, unfortunately the distance between the speakers is limited and doesn‘t offer a real stereo experience. The only true solution to this request is our Juke Box E. It offers built-in pre and power-amplifier, which allows you to place the speakers far away from each other to minimize the possibility of acoustic feedback and to create a real analogue stereo experience. 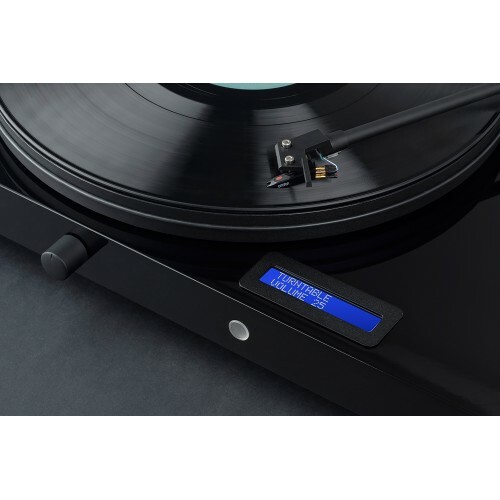 With Juke Box E we want to show all vinyl enthusiasts and growing audiophiles, how easy and great a music experience from a modern record player can be! Paired with our Speaker Box 5, the audiophile price-performance speaker per-se, we’re offering high quality sound and a true stereo feeling! Speaker Box 5 is an audiophile 2-way monitor speaker using bass reflex system. It is acoustically optimized for clear bass. The bass reflex port is located at the speaker‘s rear. The rigid housing is available in exclusive high gloss options. 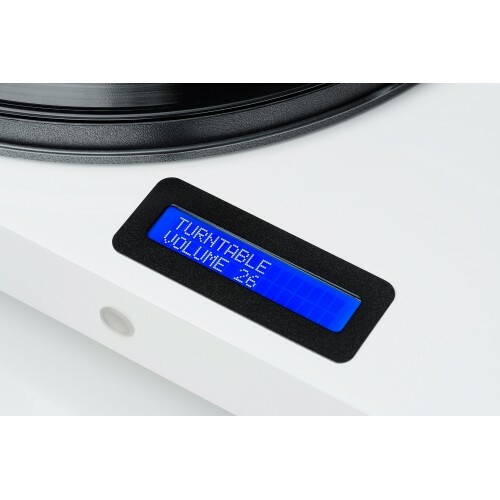 With unparalleled price-performance ratio it convinces endless HiFi aficionados. The perfect partner for Juke Box E! With its compact dimensions and elegent looks Speaker Box 5 effortlessly fits in every interior. With the its full range of analogue and digital inputs, Juke Box E becomes one of the most versatile offerings on the market. 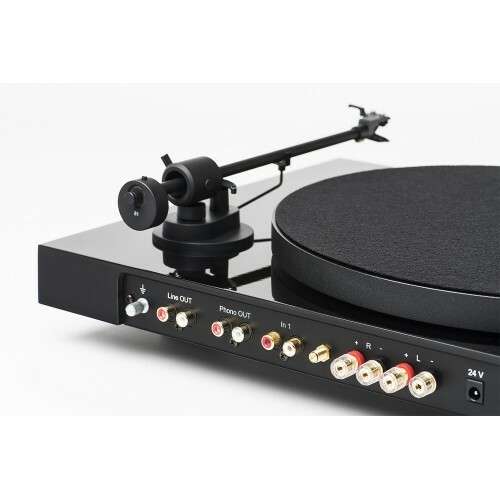 A turntable, a preamplifier, a power amplifier and a Bluetooth receiver as a good looking and audiophile one-box-solution! The Line output even lets you relay the signal to a further amplifier, such as the Head Box S2, to become an even completer setup. 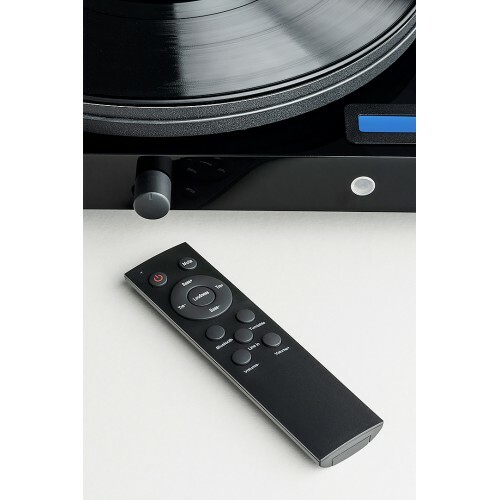 For further convenience an infrared remote control is included! If the speakers are two meters apart from each other, the listener should sit at a maximum position of three meters, but no further. For longer distances please use this 2:3 rule.